Apple has selected Riptide GP: Renegade as Apple TV Game of the Year 2016 and one of the 10 Best Games on iPhone! 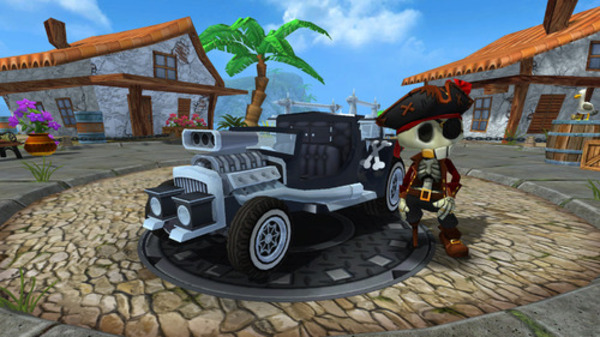 Vector Unit's driving adventure game Beach Buggy Blitz has hit the iTunes App Store! The game plays and looks great on the hottest new iOS devices like the iPhone 5 and the new iPad. The iOS version sports full Game Center integration, with Achievements and Leaderboards. It's really fun to challenge your friends back and forth with your high score! We also support saving your game to iCloud, so you always have a backup of your progress, and you can even continue your game on multiple devices with the same iCloud account. In addition, we've added a new item to the store -- a Coin Doubler that allows you to earn in-game money at a faster rate. Perfect for those more expensive upgrades! The Coin Doubler will be making its way to the Android version soon as well. Download Beach Buggy Blitz for free from the App Store today! 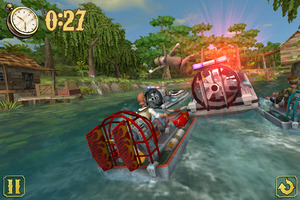 San Rafael, CA – December 1, 2011 — Indie game developer Vector Unit announced today that its latest mobile game, the water racing/action/strategy hybrid Shine Runner, will be released for iOS and Android devices on December 2. In Shine Runner, players smuggle contraband goods in souped-up flat-bottomed fan boats, powersliding around twisting backwater bayous in a frenetic race to stay one step ahead of the clock – and the law. Smuggling runs play out in lushly detailed – and fully destructible – 3D river environments. Players crash their way through levels packed with shacks, docks, chicken coops and outhouses, catch huge air off ramps and levies, and dodge (or smash) other river boats, including belligerent police. Between runs, players sell off their smuggled cargo and look for bargains so they can load up on grey market items like Gator Tails, Snake Oil, Tobacky…and of course, bootleg moonshine. The goal of the game is to maximize profits over a 10 day period. Shine Runner will be available Friday, December 2, 2011 for iPhone, iPad, and Android phones and tablets. Amazing Water Physics. Slip and slide through twisting bayous with the most realistic boat physics ever seen on mobile. Completely Destructible Game Environments. Crash through docks stacked high with barrels. Demolish shacks and outhouses. Punt gators and chickens. If you can see it, you can smash it! Smuggle Your Way to Riches! Buy and sell contraband goods like Moonshine and Tobacky, smuggling them from one colorful locale to the next in a race for maximum profit. Gorgeous HD Visuals. Explore a colorful southern world filled with high-detail boats, animated characters, beautiful bayou, marsh, and mountain environments, all running at a silky smooth framerate on your smartphone or tablet – or (on Android) on your HDTV with HDMI out! OpenFeint and Game Center Support. Make your name in the Shine Runner Hall of Fame leaderboards or show off your skills with some of the wackiest, most inventive Achievements around. 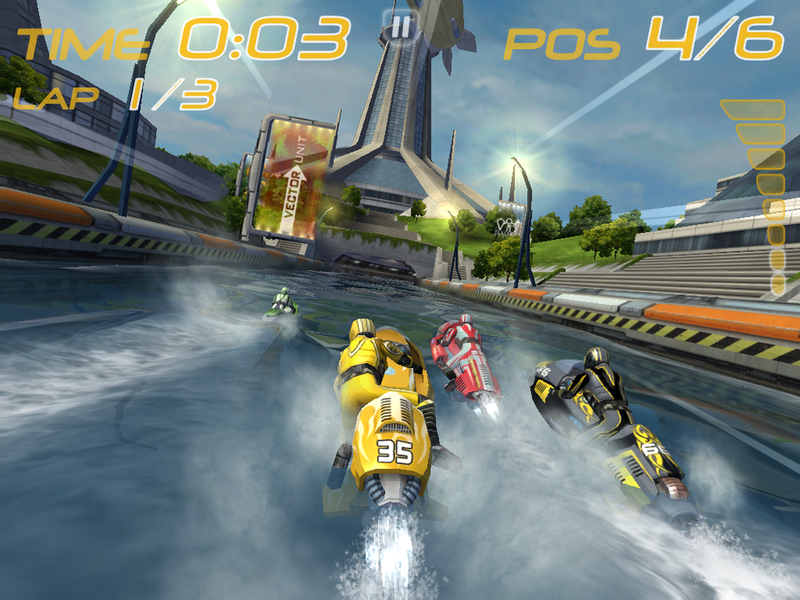 San Rafael, CA – October 6, 2011 — Indie game developer Vector Unit is proud to announce that their critically acclaimed water racing game Riptide GP™, previously an NVIDIA® Tegra™ exclusive, will be released for iPhone, iPad, and high-end Android devices in late October 2011. Riptide GP is a speed-infused arcade racing experience featuring realistic, physics-based waves and stunning visuals, ushering in a new era of console-quality titles on mobile devices. Players stunt, boost and rocket their hydro jets through twisting canals and rivers, futuristic cityscapes, and mysterious research facilities over an ever-changing torrent of unpredictable and undulating water. Riptide GP goes wide end of October 2011.